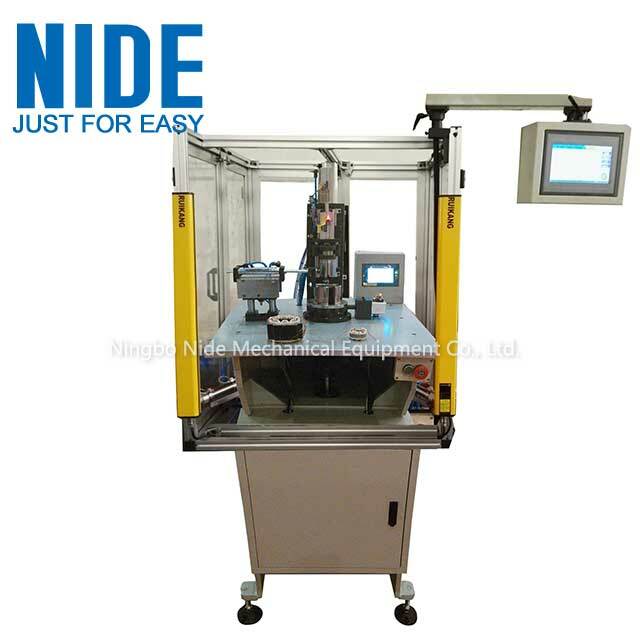 This Needle Winding Machine is cam transmission structure, suitable for BLDC motor stator coil winding. The BLDC winding machine has neat rows of cables and the line travel can be customized. Realizes the function of simultaneous multi-line mouth winding, which is especially suitable for manufacturers of mass production requirements. The stator coil winding equipment is suitable for winding different number of products bychange the tooling mold. The winding process is fully automatic.If the wire is smaller thanΦ0.8mm, it can adapts 2 needles automatic winding, automatic wire acrossing, manually cut wire. This BLDC motor cam structure stator needle winding machine has remote diagnosis function. The cam bldc stator winding machine is sutibale for Servo motor, brushless motor, stepper motor, fan motor, vaneless fan motor, variable frequency motor and other types of brushless DC motor. Looking for ideal Cam Needle Winding Machine Manufacturer & supplier ? We have a wide selection at great prices to help you get creative. All the Stator Cam Winding Machine are quality guaranteed. We are China Origin Factory of Bldc Stator Cam Winding Machine. If you have any question, please feel free to contact us.